I've always heard that the more mountainous terrain of New York State - i.e. the Adirondacks - was never occupied by Native Americans. Reasons for this absence were that these uplands were either too cold, stony or sandy for growing crops. But is that really true? Was this area always a '"wilderness" where the "works of man dwindle"? Dr. Curt Stager will discuss how he's been uncovering information and evidence that may "demolish this myth of absence" in the Adirondacks. Dr. Jay Curtis Stager is an author, radio co-host, musician, and professor of natural sciences at Paul Smith's College in the Adirondacks Mountains of upstate New York, where he holds the Draper-Lussi Endowed Chair in Lake Ecology and Paleoecology. He is also a research associate with the Climate Change Institute at the University of Maine, Orono. His research in Africa and the Adirondacks has focused on the use of lake sediment cores to reconstruct past climates, evolution, and human impacts on ecosystems over centuries to thousands of years. In addition to investigating environmental histories of lakes in Africa, South America and the United States, he has studied acid rain recovery in Adirondack lakes, human impacts on Thoreau's Walden Pond, fish evolution in Uganda, megadroughts in the Afro-Asian monsoon region, coral reef ecology in the Bahamas, and exploding lakes in Cameroon. The 2019 maple season is coming to a close. Both Ryan & John made some syrup on a backyard scale. Many of CFA's members also got into the backyard maple sugaring business as well. We'll discuss how the season went, things we learned and potential tips for making improvements. Ryan Trapani has been backyard sugaring since 2007. John MacNaught used to manage Paul Smith College's maple sugaring operations while a student there. He now has 1,000 taps he currently manages where he grew up in Delancey, Delaware County; John sells the sap there to commercial maple producers, while making some syrup where he lives on a backyard scale. Every third Wednesday on 'From The Forest' we have Gary Mead join us to talk about a tree species growing here in the Catskill Mountains. 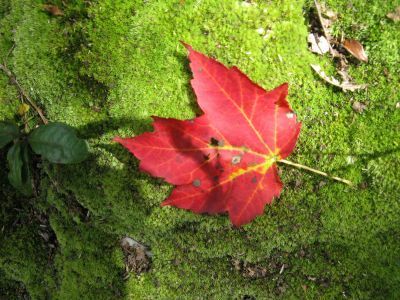 This week we will discuss maple trees. Gary is the owner of Fruitful Furnishings Sawmill & Gary Mead Gallery in Margaretville, NY. Gary will give us his perspective on cutting, sawing, milling, and working with the lumber from maple. On this week's show, Patrick will describe the challenges and rewards of managing smaller acreages of forestland inside the Catskill Mountains as newly hired Education Forester for the Catskill Forest Association. Patrick joined the CFA in October 2018 taking on the role of Education Forester. He received an Associate in Applied Science in Wood Products Technology from Morrisville State College and his Bachelor of Science Degree in Forest Resources Management from the SUNY College of Environmental Science & Forestry in Syracuse, NY. His focus is in the development and implementation of the new Timber Management Program. We often hear about the destructive nature that fires cause upon trees and forests. Often overlooked are the negative impacts that fire suppression can have on forests, too. Oregon State University and Utah State University have been researching how trees can become more drought-sensitive due to fire suppression in western U.S. forests. Other negative impacts of fire suppression may include things like susceptibility to insect damage. Utah's State University's Steve Voekler will explain how he has used dendrochronology (the study of tree rings) to unravel these impacts. Steve Voekler is an Assistant Professor of Dendroclimatology at USU within the Department of Plants, Soils, & Climate. He has his Ph.D. in Forest Science & Wood Science from Oregon State University, 2009; M.S. in Forest Ecology from the University of Missouri, 2004; and his B.S. in Forest Management from the University of Wisconsin-Stevens Point, 2001. Ever hear of the giant eastern hellbender? North America's largest salamander? It turns out these salamanders - that can grow up to 2 feet and live to see 2 decades - have become extremely rare since the 1990s. A few have been found in the clean streams of the central Appalachians and the upper Susquehanna watershed (NYS & PA). Lycoming College's Peter Petokas will discuss this unique amphibian and how his team is helping to bring it back into abundance. Peter Petokas has earned his A.S. from Westchester Community College; B.A. from SUNY New Paltz; M.S. from SUNY College of Environmental Science & Forestry; and Ph.D. from SUNY Binghamton. Peter initially taught within Lycoming College's Department of Biology, but now is a Research Associate there for the Clean Water Institute. As Research Associate, Peter was involved in stream restoration, incorporating elements of Natural Stream Channel Design. He is now in his 14th year of research on the giant hellbender salamander. He also studies other stream salamanders, vernal pool amphibians, and native and invasive crayfish. Every third Wednesday on From The Forest we have Gary Mead talk about a tree species growing here in these Catskill Mountains. This week Gary will discuss one of the Catskills most revered of trees - the Apple Tree. Gary is the owner of Fruitful Furnishings Sawmill & Gary Mead Gallery in Margaretville, NY. Tom will describe how he uses "forest forensics" to decipher the history of a forest. Maybe there was a large hurricane, logging, pasture, cropping, or fire. By looking at the trees, topography and more, we can decipher the past. Tom is the author of "Reading the Forested Landscape: A History of New England." Tom Wessels is a terrestrial ecologist and professor emeritus at Antioch University New England where he founded the master’s degree program in Conservation Biology. With interests in forest, desert, arctic, and alpine ecosystems, plus geomorphology, evolutionary ecology, complex systems science, and the interface of landscape and culture, Tom considers himself a generalist. He has conducted workshops on ecology and sustainability throughout the country for over three decades. He is the author of numerous book with his latest being "Granite, Fire, and Fog: The Natural and Cultural History of Acadia". Bob Conyea will describe how the wood stove & chainsaw industry have grown over the years. For instance, following the first Arab oil embargo in the early '70s, both industries took off as more Americans turned to wood heat & implements to cut down trees (chainsaws) to avoid high oil costs. During the embargo's peak in the '80s, the industry was selling 2 million wood stoves a year. Bob Conyea is co-owner of Ashokan Turf & Timber in Shokan, Ulster County, NY. He's a veteran wood-burner, chainsaw mechanic, and history buff. The eastern coyote has made a comeback to the northeast in recent decades. This animal has the ability to thrive in both heavily forested and urban areas. Yet today's eastern coyote differs from its predecessors 100 years ago, according to DNA and museum records found by Roland Kays. Roland Kays, North Carolina State University Research Professor, has been tracking the eastern coyote's comeback for some time. We'll find out from Roland what makes today's coyote unique from other areas and eras and how it's adapting to today's remote and urban areas. Roland is a zoologist with interest in ecology and conservation. He is an expert in using new technologies to track free-ranging animals and collects data through fieldwork and studies of museum collections. He is the Head of Biodiversity Lab, and NC Museum of National Sciences. Ever hear of the New England cottontail? This little bunny looks extremely similar to the eastern cottontail but is apparently much rarer. SUNY ESF Ph.D. Post-doctoral Research Associate – Amanda Cheeseman – will explain her research on this rare rabbit as well as management recommendations to increase its numbers. Amanda’s research focus at SUNY ESF is on underrepresented mammals of conservation interest. She studies the ecology of the declining New England cottontail, and its responses to the introduced eastern cottontail. As an early successional obligate species, it's thought that recent range contractions in the New England cottontail are due to the progressive loss of early successional habitat as it matures. Additionally, it is thought the presence of eastern cottontails might inhibit re-colonization of suitable habitat patches. Using genetics and telemetry, Amanda examines the impacts of eastern cottontails on New England cottontail habitat associations, survival, and dispersal in the Hudson Valley, NY. Amanda is originally from Michigan and received a B.S. from Michigan State University before obtaining an M.S. from Fort Hays State University in Kansas. After matriculating to SUNY ESF, she hopes to continue research and teaching as a professor. When not working, Amanda enjoys reading fiction and playing with her Australian cattle dog, Brisbane . Every third Wednesday on From The Forest we have Gary Mead talk about a tree species growing here in these Catskill Mountains. However, this week Gary will discuss the differences between the animals, trees, & more that we see throughout both summer and winter. It might seem cold out there, but spring is coming. Before those buds begin to pop, there are some things that can be done amongst this cold weather to make this year more fruitful: Apple Tree Pruning & Grafting. We'll discuss some of the basics behind pruning and grafting. Grafting normally occurs during spring (April/May), but "scionwood" or cuttings must be collected now in winter. Although earthworms are well known for their positive role as decomposers of plant litter, they can have negative effects on ecosystems in which they did not evolve. The central problem regarding exotic earthworms in Upstate New York is that little information is available to land managers regarding the distributions of exotic and native taxa. Colgate Professor Tim McCay seeks to develop a better understanding of the distributions of exotic and native worm species in natural areas of central New York, and a better understanding between the different species and land-cover types in the region. Tim McCay is a Professor of Biology & Environmental Science at Colgate University. His research focuses on the forest floor ecosystem, soils, plant debris, and associated organisms, namely shrews and earthworms. Every third Wednesday on From The Forest we have Gary Mead talk about a tree species growing here in these Catskill Mountains. However, this week is special and we'll be discussing Christmas Trees: History, Growing, Usage, Species, Fake vs. Real, & more. Tom Gerow is General Manager at Wagner Companies. In other words, he's their main guy in charge of overseeing one of the northeast's largest sawmills at Wagner Lumber. We'll ask Tom about what it's like to make a living from New York's timberlands and how Wagner makes it all happen. Wagner Companies produce over 55 million board feet of lumber annually and supply the furniture, cabinetry, and specialty-use product industries worldwide. Wagner purchases standing timber from private landowners as well as logs from loggers and landowners throughout New York State and the Northern Tier of Pennsylvania to supply their mills. Discussion on "forest forensics" to decipher the history of a forest. Maybe there was a large hurricane, logging, pasture, cropping, or fire. By looking at the trees, topography and more, we can decipher the past. Every third Wednesday on From The Forest we have Gary Mead talk about a tree species growing here in these Catskill Mountains. This week we will discuss the black walnut tree; a tree rarely planted in the Catskill Mountains. Gary is the owner of Fruitful Furnishings Sawmill & Gary Mead Gallery in Margaretville, NY. Gary will give us his perspective on cutting, sawing, milling, and working with the lumber from black walnut. Forester Chris Prentis - Owner of Lower Hudson Forestry Services - will discuss his perspective on managing private forest land in the southeastern New York State. Marty Giuliano is a long-time maple producer who owns Marty's Maple Products Farm in West Shokan, Ulster County. The maple sugaring season - believe it or not - is right around the corner. We'll get Marty's perspective of this Catskill tradition before it starts this year. Jason Beever from JWB Bows will be our guest this week; he is the owner of JWB Bows where he specializes in making home-made bows from local trees. JWB is an internationally known bowyer, located in the Catskill Mountains, who embraces the craft traditionally. His methods are rooted in history as he processes all his materials by hand - from harvesting and processing the wood from the forest, making his own glue from fish air bladders and flakes of tendon, untwisting and flattening horn into plates, and always varying fabrication techniques from various cultures around the globe. Jason's repertoire ranges in eras and locations around the world: from the Asiatic and Eurasian composite horn bows to the long bows, recurves, and other individual styles of the indigenous peoples of Northern Europe and North America. Each JWB Bow is unique, crafted by hand, and roots into a heritage shared by humans across the earth. Catskill Forest Association's President--Mike Porter--discusses a variety of forested topics from firewood to maple sugaring. Mike Porter is a retired science teacher from Margaretville Central School. Mike has heated his home with firewood since the 1970s, has built a cabin from trees located on his own property, and makes maple syrup each year as well, among other forest-based things. Every third Wednesday on From The Forest we have Gary Mead talk about a tree species growing here in these Catskill Mountains. This week we will discuss the catalpa tree; A tree that is "new" to the Catskills. Gary is the owner of Fruitful Furnishings Sawmill and Gary Mead Gallery in Margaretville, NY. Gary will give us his perspective on cutting, sawing, milling, and working with the lumber from red pine. Dr. Michael Kudish will discuss a variety of topics since he last appeared on From the Forest in 2014. Mike will discuss his findings surroundings hemlock forests going back thousands of years in the Catskills up to the tannery-era and the present. We'll also go into his extensive study of land-use history surrounding Native American burning, agriculture, 1st growth forest, and forest products industries and their network of roads. Michael Kudish is an author, railroad historian, forester, and retired professor. He received his Ph.D. in 1971 from the State University of New York College of Environmental Science and Forestry at Syracuse. His dissertation, on the history of Catskill forests, was the beginning of a lifelong study. It was later expanded and published as The Catskill Forest: A History. His previous degrees included a B.S. from the City College of New York, and an M.S. from Cornell University. As a professor in the Division of Forestry at Paul Smith's College, he has written three books on the vegetation of the Adirondacks, including Adirondack Upland Flora, a number of articles on forest history of both the Catskills and Adirondacks. As a railroad historian, he wrote Where Did The Tracks Go?, an initial description of railroads in the Adirondacks, followed by Railroads of the Adirondacks, for a long time considered the definitive work on the subject. He has retired from Paul Smiths, moved to the Catskills, and is working on a four-volume set on the Mountain Railroads of New York State. It updates Railroads of the Adirondacks in the first three volumes, and adds a fourth volume covering the Catskills. "American Ginseng Pharm (AGP) Regional Center is an agroforestry enterprise located in the Catskill Mountains of New York State. AGP is now the biggest wild-simulated Ginseng Farm in the world. They have successfully planted hundreds of acres of forested land in Albany, Delaware, & Greene Counties. They are dedicated to growing wild-simulated American Ginseng (Panax quinquefolius), Reishi (Lingzhi) mushrooms (Ganoderma lucidum), Cordyceps as well as a variety of other medicinal plants and mushrooms." Anna received her Bachelor of Science Degree from Cornell University, majoring in Natural Resources. Her work at Cornell focused on applied ecology and Agroforestry, with special interest in the application of science to conservation through the cultivation of forest ecosystems. She has worked as both a field technician studying long-term growth patterns of northern hardwood forests and as a technician at Cornell University’s experimental forest farms, where she maintained the university’s mushroom laying yards and wild-simulated ginseng plots. After graduating, she spent two growing seasons interning and working on organic vegetable and pasture-raised livestock farms, giving her a well-rounded background in sustainable agricultural practices. Anna is supervising both full-time and seasonal employees as well as overseeing the site preparation and establishment of wild simulated American Ginseng on more than 200 acres of forested land. Her duties also include managing the company’s medicinal mushroom growing operations. From the Forest's Ryan Trapani will discuss his short 2-day walk in the woods surrounding the High Peaks of the Catskill Mountains. We'll discuss observations surrounding forest types, animals seen, abandoned farms, plants, abandoned bark roads, old growth forests, trout streams, and more. Every third Wednesday on From The Forest we have Gary Mead talk about a tree species growing here in these Catskill Mountains. This week we will discuss Red Pine. Ryan and John will discuss one of the Catskills most mysterious -- yet famous -- little plants: American ginseng. Ginseng (Panax quinquefolius) is a world-renowned "Adaptogen" used medically for thousands of years. We'll talk about some of the history, biology, habitat, and role in the Catskills of this uniquely long-lived herb. Ryan and John will discuss bear biology, behavior, habitat, and range in New York State, as well as bear hunting. This year's Early Bear Season begins Sunday, September 9th in the Catskill Mountains. Charlie is a Veteran-Arborist serving both Long Island & Sullivan County throughout the last few decades. We'll speak with Charlie about what he's learned about serving both trees and people in the Catskill Mountains, as someone that must balance the needs of trees with the customer's expectations. Each year we cover one of the Catskills' most famous forest industries - the Bark Tanning Industry. The Catskills' hemlock trees used to play a major role in the leather-making process, which demanded tannins from the bark on hemlock. We'll discuss this historical industry as well as our experiences in hobby-tanning and deerskins today. Every third Wednesday on From The Forest, we have Gary Mead talk about a tree species growing here in the Catskill Mountains. This week we will have him discuss red and white cedar, giving us his perspective on cutting, sawing, milling, and working with the lumber from cedar trees. Gary is the owner of Fruitful Furnishings Sawmill & Gallery in Margaretville, NY. Red cedar is a species native to eastern North America from southeastern Canda to the Gulf of Mexico and east of the Great Plains. This dense, slow-growing coniferous evergreen is a pioneer species, meaning it is one of the first trees to repopulate cleared, eroded or otherwise damaged lands. White cedar is also a coniferous evergreen. The northern white-cedar is known as eastern arborvitae, a name frequently used in the horticultural trade in the United States. Arborvitae is Latin for "tree of life", due to the supposed medicinal properties of the sap, bark, and twigs. Despite its common name, it is not a true cedar in the genus Cedrus. Author Mike Freeman will discuss some of the benefits and controversy surrounding the polarizing practice of 'clear-cutting'. Mike Freeman lives in Rhode Island and has written articles in Northern Woodlands Magazine & The Bird Watchers Digest about the practices of clear-cutting. He is the Author of both Drifting: Two Weeks on the Hudson & Neither Mountain Nor River: Fathers, Sons, and an Unsettled Faith. Trent Dicks is the Mid-Atlantic Regional Tech Manager for ArborJet. ArborJet was "initially developed by arborists for arborists in order to effectively manage and control the many exotic and native insects, pests, and diseases threatening our natural and urban forests." Founded in 2000 by Peter M. Wild, owner of Boston Tree Preservation in Woburn, MA, Arborjet was established out of Peter’s intent of finding a way to control Hemlock Woolly Adelgid, saving thousands of trees since the company’s inception. Today, as the leading provider of tree care solutions, that same passion for innovation and service drives Arborjet to expand the types of technology created and industries served, changing the face of plant health care. Trent Dicks has over 20 years of experience in Landscape and Nursery Sales and Operations. He holds a Bachelor of Science Degree in Agri-Business Horticulture from Illinois State University and an Associate's Degree in Applied Science and Horticulture. Trent is a graduate of Dale Carnegie training. Cody Johnson will discuss his life as a Timber Harvester for Johnson Forestry & Timber Harvest LLC. Cody is Owner & Founder of JOHNSON FORESTRY & TIMBER HARVEST LLC, established in the spring of 2015 while attending Paul Smiths College of Forestry. He has a degree in Forestry/Timber Harvesting & Fisheries & Wildlife. His business is located in his hometown of Poland, NY where he promotes sustainable logging practices. Every third Wednesday we have Gary Mead join us on the show to speak about a different tree. Tonight we'll be discussing one of Ryan Trapani's favorites - the mulberry tree. It's quite fruitful, with nice wood, too. Gary is the owner of Fruitful Furnishings Sawmill and Gary Mead Gallery in Margaretville, NY. Every third Wednesday we have Gary on the show to discuss a different Catskill tree species, or something else forest-related. Paul Misko is the Founder of a hiking club -- the Catskill 4000 Club -- and has spent quite a bit of time since childhood hiking around Woodland Valley and the Slide Mountain Wilderness area. When Paul isn't busy traipsing around the woods, he can be found giving various historical talks on Tanneries in the Catskills and Naturalist John Burroughs. Mike Porter is all about the woods. When he's not in the woods - among many other things - he's serving as the Board President of the Catskill Forest Association. Mike is the proud new owner of a new sawmill at his woodlot in Andes. We'll be talking with Mike about his 17 acre woodlot, and a variety of forest topics that Mike, and indeed many other landowners, are involved in. Nearly all the wood products we use on a daily basis do not come from local sources here in the Catskills. Many products originate from somewhere in the northeast region of North America. Tonight we'll discuss with Gary Mead the many forest types surrounding us and what products might come from them. Tonight, we will be talking about all things plants with Marguerite Uhlmann-Bower of Plant Pioneers. Marguerite is the co-founder and director of Plant Pioneers, an RN, and a Clinical Herbalist. Marguerite's work invites people and students to become interested in plants through hands-on, outdoor Nature experiences (see WeedsLeavesSeedsShoots.com) that bridge traditional herbal medicines, science, and phenomena for an earth based path. In recent years, her outdoor explorations have included additional tools that connect humans to plants. Plant Pioneers is a multi-disciplinary group of plant enthusiasts dedicated to raising awareness about inter-connected mutual relationships with all living systems. They are a resource in sharing basic-human plant harmonious solutions, and offer projects and programs that are ecologically principled, educationally interactive and technologically oriented toward environmental stewardship and the treatment of Nature with the utmost of respect and integrity. A few weeks ago, FROM THE FOREST interviewed University of Delaware's Doug Tallamy who discussed the harmful impacts of non-native plants on native insects and the environment. On this weeks show, we will interview Jono Neiger who brings a different perspective surrounding invasive species. "Concern about invasive species has permeated our society to a point where almost no one doubts that these species are 'taking over', causing widespread harm, and should be eradicated." Although he believes the all-out fight against invasive species is well-intentioned, Mr. Neiger will explore his skepticism surrounding invasion biology’s broad assertions and desire a deeper look at the reality and the science behind the rhetoric. Jono Neiger worked as a restoration biologist with the Nature Conservancy for several years, establishing riparian forest on the floodplain of the Sacramento River in California. Jono is an ecologist/land manager/landscape designer, teaches permaculture design at the Conway School of Landscape Design, and operates a design and implementation firm, Regenerative Design Group in Greenfield, MA. Kelley Edkins (consultant) is the owner of HoneybeeHerbs.com, a Beekeeper, Master Herbalist, Master Gardener and Stoneworker. Kelley has been cultivating medicinal herbs, native plants, and endangered species for more than two decades in the Catskill Mountains of New York. Her organic farm, Honeybee Herbs, focuses on plants that provide food for honeybees, as well as plants that are endangered species. She sells the herbal and honeybee produce from her farm and gardens at local farmer’s markets and festivals in the Catskill Mountains. Past projects include: Driving the movement for the first DEC managed compost facility site in New York State, The Bee Green Community Garden. Her community service continued with driving the movement to stop a landfill expansion in her hometown. Kelley has provided years of volunteer teaching and workshops on compost and gardening for the school systems and community organizations in the local area. Countless garden installations and large scale stone projects, have provided years of a deep connection with the Earth that is both genuine and benevolent. Most important to Kelley is her connection with her honeybees, their conservation drives both the content of her gardens and indeed her very existence. Co-Host John MacNaught & Catskill Forest Association's Forest Program Technician Nick Masucci will discuss turkeys & turkey hunting this week. We'll get into the biology, habitat requirements, behavior, and pursuit of North America's most pursued (or hunted) game bird. Every third Wednesday of the month we invite Gary Mead on the show to talk about a tree growing in our Catskill Mountains. Gary is the local owner of Fruitful Furnishings Sawmill and Gary Mead Gallery in Margaretville, NY. Be sure to stop by his showroom and sawmill for an awesome look into the process of turning logs into lumber, or the process of turning logs into stunning pieces of wooden furniture. On tonight's show, we'll be discussing the birches - yellow, paper, black, and grey. Retired from the F.B.I. & US Treasury where he once investigated into the affairs of politicians & tax evaders, David Benscoter now uses his detective work to hunt down lost apple tree varieties. Although David hails from the state of Washington, it is a North American story about the loss of thousands of heirloom varieties across rural America. David will discuss some of the old varieties he has resurrected in Washington as well as how we might do the same in the Catskill Mountains. Paul Misko (Founder of the Catskill 4000 Club) hosts the CATSKILL TRIVIA QUIZ between Brett Barry & Rolland Smith. Brett Barry is an Audio book narrator & host of Public Radio's Sound Beat. He is the producer of a driving tour of Route 28 (drive28.com), which includes Catskills history & folklore. Rolland Smith is a 11-time Emmy award-winning broadcast journalist. He co-hosted 'The CBS Morning Program', & anchored the news @ New York's WCBS & WWOR. Every third Wednesday of the month we invite Gary Mead on the show to talk about a tree growing in our Catskill Mountains. Gary is the local owner of Fruitful Furnishings Sawmill and Gary Mead Gallery in Margaretville, NY. Tonight's show we will discuss Black Walnut and all this amazing tree has to offer. Did you know you can tap this tree for syrup, too? We hear it tastes great! Professor Tallamy will discuss the reasons why native species provide more ecological services and benefits in comparison to introduced species. Doug Tallamy is a professor in the Department of Entomology and Wildlife Ecology at the University of Delaware, where he has authored eighty research articles and has taught Insect Taxonomy, Behavioral Ecology, Humans and Nature, and other courses for thirty-two years. Chief among his research goals is to better understand the many ways insects interact with plants and how such interactions determine the diversity of animal communities. Duane LaFever is a 3rd Generation Maple Producer in Delaware County. His Grandfather--Ben--began making syrup as early as the 1920s, while his father continued making the sweet stuff in the 1970s. We'll ask Duane about changes in the maple industry as well as how the 2018 Maple Season is shaping up. Other topics will cover the importance of using wood mulch for tree planting and health as well as mycorrhizae too. If we have time, we'll ask about other "myths." Every third Wednesday of the month we invite Gary Mead on the show to talk about a tree growing in our Catskill Mountains. Gary is the local owner of Fruitful Furnishings Sawmill and Gary Mead Gallery in Margaretville, NY. Tonight's show we will discuss the black cherry tree. Recent heavy snowfall & wind has left a wake of fallen branches, twisted-off trees, & up-rooted trees causing downed power-lines, damaged property & homes. We'll discuss how to identify a "hazardous tree" & what you might be able to do about it. Frank Parslow is a local logger out of West Shokan, Ulster County who gets around quite a bit logging these hills. We'll pick Frank's mind about what it's like to be a Logger in these Catskill Mountains. Every third Wednesday of the month we invite Gary Mead on the show to talk about a tree growing in our Catskill Mountains. Gary is the local owner of Fruitful Furnishings Sawmill and Gary Mead Gallery in Margaretville, NY. Tonight's show we will discuss American Beech, or Beech nut as many people call it. Catskill Forest Association's President--Mike Porter--will discuss his experiences in making the tree sugary stuff from maple trees along with Ryan & John. Ryan has been making syrup since 2007 & John taps over a 1,000 trees for selling sap to a producer down the road. Mike & John are both dabbling in making syrup from other tree species too - birch and sycamore. Paul Misko is the Founder of a local hiking club--The Catskill 4000 Club. Paul grew up traipsing around Woodland Valley & has learned about how to be prepared for winter, among other things. We'll see what Paul has been up to this winter. If you've been to Deposit, NY, then you might know the Schaefers; they are some hard-working people who literally make a living from the land. Larry Schaefer owns a sawmill, bluestone quarry, logging outfit, and a farm in Delaware County. We'll try to gain Larry's perspective on logging in particular, but also running a rural-based business in upstate NY in general. Forester Collin Miller describes how wood heating can be used to fire up Catskill Communities. Heat is a big cost each winter, yet the Catskills are full of "woody biomass" that could be used for community-scale heating. Fruitful Furnishings's Sawmill Owner--Gary Mead-- discusses some interesting attributes & unique qualities of TREE ROOTS. Ryan & John discuss the basics about restoring overgrown apple trees & the benefits of grafting apple trees too. Thomas M. Ward is the Vice-President of North Country Ecological Services. He conducts biological surveys in various terrestrial & aquatic habitats. He has experience performing environmental site assessments on industrial, commercial & residential properties throughout the United States, soil & water sampling & analysis, & wetlands investigation. Fruitful Furnishings Sawmill Owner--Gary Mead--discusses Christmas Trees & more. Quality Deer Management Association's Kip Adams defines "quality deer management." Catskill Fungi's--John Michelotti--discusses mushrooms; both medicinal, edible, & more. Tim Russell is with the Quality Deer Management Association & is their Young Forest Specialist. Tim will discuss the importance of young forests for deer, wildlife, & more. Coyotes are often blamed for reducing deer populations, while bark beetles for killing trees. But are they the root cause? CFA's President--Mike Porter--discusses the recent "disappearance" of some of our forest birds around the bird feeder & more. Fruitful Furnishings Sawmill Owner--Gary Mead--discusses the unique properties of the sassafras tree. Peg DiBenedetto discusses the "Golden Eagle Project." Peg volunteers with the Delaware-Otsego Audubon Society, West Virginia University & NYS DEC to track & monitor Golden Eagles in these Catskill Mountains. Golden Eagles in the Catskills?! Yep, that's right. Temple University's Andrew Isenberg discusses "America Before Columbus." We'll ask Mr. Isenberg about what our forests might have "looked like" back then & how humans, flora and fauna fared together. Fruitful Furnishings Sawmill Owner--Gary Mead--discusses the unique attributes of the eastern cottonwood tree. Julia Priolo (student @ SUNY Cobleskill) discusses wildlife management; its history, definition, methodology, and management in the Catskills & beyond. Ryan, John, & Matt discuss their experiences surrounding bow hunting. The Forest History Society (FHS) is a nonprofit educational institution located in Durham, North Carolina. FHS links the past to the future by identifying, collecting, preserving, interpreting, & disseminating information on the history of interactions between people, forests, & their related resources -- timber, water, soil, forage, fish & wildlife, recreation, & scenic or spiritual values. Our guest from the Forest History Society will be James Lewis; their staff historian. Fruitful Furnishings Sawmill Owner--Gary Mead--discusses the unique traits of the beechnut tree (or American beech). John & Ryan discuss "crop tree management" or how to decide which tree to cut & which to leave behind for better growth. The mulberry tree; one of the most under-rated fruit trees! Bernie Braun has been practicing Forestry for over 30 years throughout the Catskill Mountains & beyond. Fruitful Furnishings Sawmill Owner--Gary Mead--discusses trees in the Catskills that provide "nuts." Hickory, oak, walnut & more. Recording of Audubon NY's Suzanne Treyger's presentation @ the 2017 Forest Festival on how to improve habitat for forest birds. University of Dayton's--Ryan McEwan--discusses why oak trees are disappearing from the eastern forest. Ryan is an Associate Professor of Ecology. Guest speaker--Frank Winkler--discusses being a Forest Owner in these Catskill Mountains. Frank is a Board Member of both the Catskill Forest Association, NY Forest Owners Association, Council of Forest Resource Organizations, & the Watershed Agricultural Council's Forestry Program. He was born & raised on a dairy farm in Andes, Delaware County & currently resides on this same property today. Fruitful Furnishings Sawmill Owner--Gary Mead--discusses his new childrens' book: "My First Tree Book, Sweet Sap." Ryan & John discuss the two highly edible symbols of summer--blueberries & blackcaps. Interview with the Center for Northern Woodlands Education's Executive Director (Elise Tillinghast) & Assistant Director (Dan Lambert) about their organization & Catskills wildlife. Catskill Mountain Woodsman--Hoppy Quick--defines "rural" in the Catskill Mountains. Hoppy tells about the struggles of growing a rural business in a changing culture. Guest speaker & Catskill Forest Association Board President--Mike Porter-- discusses nuisance wildlife among other interesting wildlife stories. Ashokan Turf & Timber's--Bob Conyea--discusses chainsaws (past, present & future) & more. Pennsylvania State University's Professor of Forest Biology--Kim Steiner--discusses how to preserve oak forests & their importance.